Food acidulants are additives that balance out the pH levels in food items. Acidulants are food acids that help regulate the moisture, taste, and color levels by modifying the acidity levels in foods. Apart from regulating the acidity levels, these ingredients assist preservation of food & drinks and act as gelling agents. Generally, acidulants are used to obtain a sharp taste especially in carbonated soft drinks, jams, and sauces. These additives vary in taste profiles based on taste intensity and lastingness: citric acid for immediate citrus sour taste, malic acid for a little delayed apple sour taste. Citric acid is a naturally derived and most commonly used acidulant. 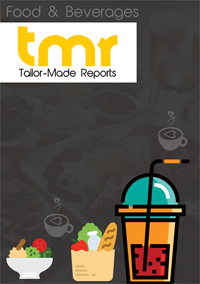 Food acidulant is the major as well as rapidly growing food acidulants market. The global food acidulants market is expected to record a substantial CAGR in the forthcoming years. Owing to the demand of the food acidulants is increasing from the food processing globally. The consumption of food acidulants has increased as it acts as a preservative in food and beverages. This can also be the substitute to the cold supply chain that drives the demand of the global food acidulants market and boosts the global food acidulants market. Food acidulants are operating as a gelling agent and flavoring agent for food items. It also preserves acidity and pH level in beverages, as these factors boost the demand of the global food acidulants market. But, a huge competition in pricing exists, thus acting as a key concern in the global food acidulants market. Owing to the availability of the food acidulants at comparatively low price by producers in China. The competition in pricing may hinder growth of the global food acidulants market in the upcoming years. Citric acid is the most abundantly used acid in the food and beverage industry. While this acid was extracted from limes and lemons in the past, it can now be produced commercially with the help of fermentation process. Right from adding a sharp taste to sweets and cold drinks, to generating an optimum condition for forming desserts, jellies, and jams, citric acid has widespread applications. Malic acid is naturally found in tomatoes, apples, bananas, cherries, etc. Its applications are similar to that of citric acid and are generally used for making beverages that have a low-calorie count. However, it is little expensive as compared to citric acid. Geographically, Asia Pacific is leading and has contributed the leading shares of the global food acidulants market. Due to rising demand of food processing industry in developing areas. North America and Europe have also contributed a substantial market share in terms of revenue to the global food acidulants market. Moreover, it is further expected to register a consistent growth rate in the forthcoming years. Attributable to the saturated food processing industry. Rising awareness about food acidulants is opening new doors for leading players to expanding their product line. Major players are concentrating on new product developments to expand the customer base. Apart from that, leading producers are in partnership with several research institutes to develop more products to satisfy the rising market demand. The leading players profiled in the report are Parchem Trading Ltd., PuracBiochem BV, Caremoli S.p.A, Jungbunzlauer Suisse AG, and Bartek Ingredients Inc. among many others.